If you are going on a trip to the safari or have a stargazing day planned and are looking for binoculars, then you may have realized that a lot of them cost a fortune. 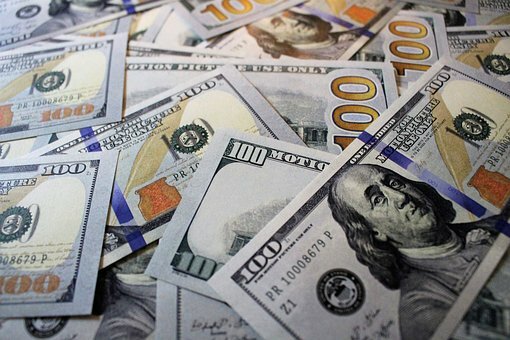 Although there isn’t a disadvantage to getting them except for spending a lot more than what you want to spend, you don’t have to spend this much to get the experience you are looking for. For a friendly get-together and for a day at the safari, an enthusiast’s binocular isn’t required and having a budget of under 100 dollars isn’t bad at all. You can still get a decent pair of binoculars with the right features for your trip without having to spend a lot of money, just look in our list of best binoculars under $100. However, there are a few restrictions that you must set to be able to afford a pair of binoculars that fit under your budget, such as the magnification, quality, and lifetime value. Unless you are okay with spending over 100 dollars, you will have to stay around the x8 to x12 range of magnification and the quality you will be getting won’t be too great either. However, this magnification is still great for casual star gazing or a day at the safari and if you are careful, the quality won’t make too much of a difference either. 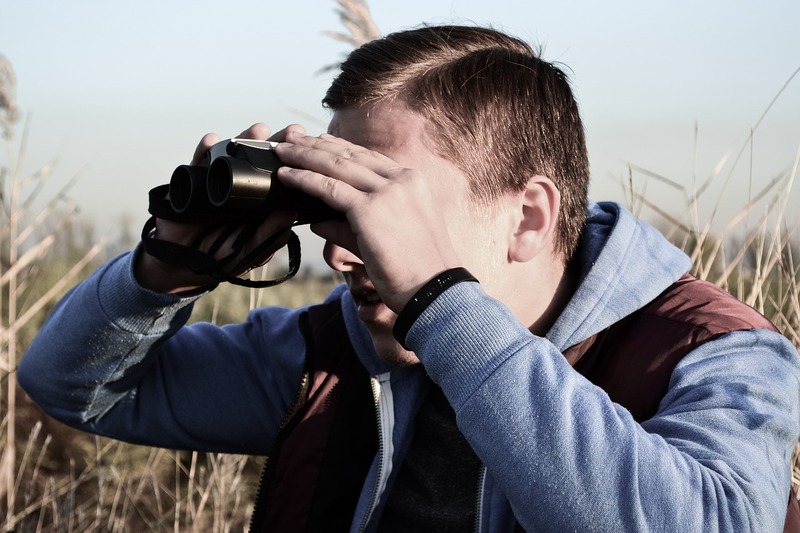 When choosing your binoculars, make sure that you look at a few factors such as the features, quality, and price, so that you know what you are getting before you purchase it. If you want to save money, then buy a pair of binoculars that is geared towards all activities, so that you can avoid purchasing binoculars that are built towards one activity and having to buy another to make it suitable for a different activity. The features of your binoculars are an important factor to look at when choosing your binoculars, as it could mean the difference between having a clear view of the night sky and having a blurry view. Some features are geared more towards a certain activity such as being waterproof for whale watching and UV-protection for stadiums and the safari, so know the activity you will be participating in and choose accordingly. Some products may come with features that you may not particularly need, such as image stabilization, that will increase the price drastically, so if you don’t need a feature, avoid it to save some money. The quality of your binoculars will change the value and lifetime duration of your product. The higher the quality, the better value it will have over the years and the longer it will live to go on more trips. Usually, products with higher quality will be a lot more expensive and have better features with the budget products having lower quality and breaking a lot easier. A good indication to know whether the quality is good is to see if it includes features that give you an easier time using the product such as eyecups, as quality products tend to come with features that makes the user experience a lot better. As with all other products, the more you pay, the better features and quality you will get. 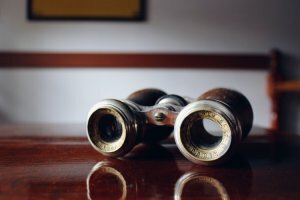 However, it is recommended that you look for products that have better value rather than look at the price alone, as binoculars are something that should last a long time. If the binoculars are expensive, but won’t last a long time, then skip it and go for a product that is of quality that can last a longer time as it will be of better value for you. The price of all products in this guide are under 100 dollars, which is in the budget to average range, so don’t expect too much quality, but they are still worth the value if you can get them and keep them in good condition. As the products in this guide aren’t premium, they don’t have astounding magnification, but just the right amount to keep everyone satisfied. Most of the products in this guide have around x8 magnification which is fine for star gazing, bird watching, whale watching, safari, and many other binocular-related activities. 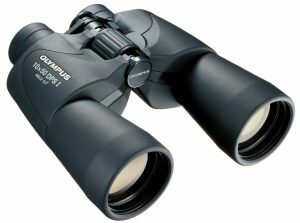 However, if you want to observe a lot closer, then we recommend that you make your maximum budget a bit higher for you to be able to afford more magnification or give up some features and quality to get binoculars with higher magnification in this price range. If you want a clear, quality product, that is one of the best binoculars under 100 dollars, then this product should be something that you should keep an eye on. 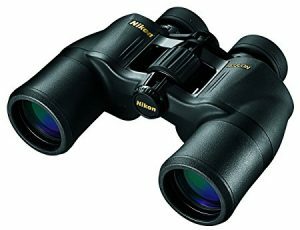 Just like all the other Nikon products, this one will give you a great view that is clear and sharp, so that you don’t miss anything while using these binoculars. A feature that is found on this binocular that we liked was the rubber eyecups, as it will make your experience a lot better. Usually, when using binoculars, your hands will get tired first and then your eyes will get tired. This is because you’re placing a lot of strain on your eyes while putting your binoculars up to your eyes and this eyecup will fix this problem. Another feature that we liked was the multi-coated lenses, as, without it, you won’t get the bright and clear image that you can obtain with these binoculars, even in low-lighting environments. The quality of this product is quite good for the price you are paying for it. However, if you aren’t careful with it and you drop it often, then it won’t last as long as you might want it to last. By taking good care of your binoculars and preventing scratches from going on the lens, you will be able to get a plethora of value from this binocular. This product also comes with rubber armor, which will help absorb shocks from drops and give you a better grip on the binoculars. This isn’t quality that you see in every budget binocular, so we recommend this one if you are having a hard time choosing. The price of this product is under the 100-dollar cap, but if you want a bit more features and quality, then we recommend that you raise your budget a bit higher. This is especially the case for the magnification because, at this price point, you won’t be able to see far, much like this product. However, if you are on a budget, then this one is a good one to start off with as it will last a long time and has quite good quality compared to similar products in the price range that this product is in. The magnification of this product is x8 with the optics size being 42mm. This is quite small, although the diameter is on the bigger side. If you want to see farther, then this product may not be for you, but if you are looking for a binocular that will work great even in the dark, then this one should be one to keep your eyes on. The larger lens diameter will help more light go into your binocular which will let you see a lot better in the dark. Overall, this product is highly recommended if you are on a tight budget, but you still want the quality and features of a higher-tier binocular. This product costs a bit more than the other binoculars in this list, but this is expected as you get better clarity and features with this product than any other in this price range. With this product, not only do you get better quality, but you also get a wider range of features such as a full prism system as well as eye relief eyecups. This binocular is also quite stylish as well, another reason why it may be a bit more expensive than other products. The feature that we loved most about this product is the Porro prism system because it will provide you with a clear view, wherever you are, even if you are in a dimly lit location. This Porro prism system includes multi-coated optics and BaK-4 prisms which all aid in directing more light into your binoculars which will let you see whatever you are seeing from the whole color spectrum and not just a blur that is often seen in low-quality binoculars in the dark. This binocular also has quite a wide range which will make it easier to find certain stars while stargazing and will also help you track the bird you are watching while bird watching. 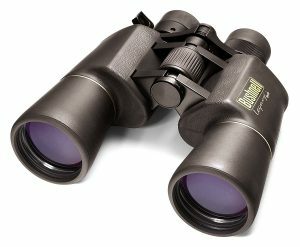 The quality of this product is one of the best inexpensive binoculars that you can get under the 100-dollar range, as this product comes with rugged, rubber armor that will help keep your binoculars lasting a longer period and a beautiful design that will make you feel proud of using these binoculars. The design that comes with this binocular will make you feel like you are using a binocular that costs a lot more, so if you want to get an expensive binocular, but can’t due to budget limitations, then we recommend that you get these binoculars. The price of this product is a bit higher than the other best budget binoculars in this list, but the quality and features that this product comes with is one of the best. The clarity that you get with this product is equivalent to the clarity that you get with higher-end products which is why we recommend this product if you don’t know which binocular to purchase. As this product will require a hard beating to break, you will be able to use these binoculars for a long time, making the price you pay for this product only a small investment, as you’ll get a lot more value than what you pay for. The magnification of this binocular is x8 with the size of the optics being 42mm. This magnification is just enough to give you a good, close-up view of the object you are watching, but if you need to be closer, you’ll need to spend a bit more to get better magnification. However, higher magnification might not always be better because you’ll have to deal with higher sensitivity and a tighter view. Overall, this product is great if you want a high definition view, quality design, and wide FOV at a price that is under 100 dollars. Definitely one of the best binoculars under $100. Although a bit more affordable compared to the Bushnell binoculars that we reviewed above, this product can manage to reach higher magnification alongside having a bigger diameter in terms of lens size. This product may not have the best durability or the best quality in the world, but it is still a decent pair of binoculars at a decent price point. Some features that this product comes with include: a focus knob which is easy to use, UV protection, and a wide-angle view. The focus knob is a feature that we liked about this product because, with other binoculars, the focusing part is always one of the hardest parts. However, with this product, focusing is a lot easier mainly because of the larger knob and because the knob is designed to focus your view as quickly as possible. The UV protection is also a useful feature because if you are planning to use your binoculars in locations where there are a lot of sunlight, then this will affect your viewing experience. With the help of UV protection, this won’t be an issue as the sunlight will be blocked out and no sunbeams will go into your eyes. Lastly, the wide-angle view is another feature that we loved about this product because it will give you an easier time finding your target since you’ll have a wider view. The quality of this product isn’t one of the best, but if you take care of your binoculars correctly, you should be able to use this binocular for a long time. As this binocular comes with regular safety precautions such as rubber armor coating, a few drops won’t do too much damage, but with a major dent or a scratch on the lens, your binoculars won’t give you the experience that you may be looking for due to the damage. If you are looking for better quality, then you will have to increase your budget to do so, but if you know you can take care of your binoculars, then this binocular is one that we recommend since it isn’t expensive. The price of this binocular is a lot more affordable compared to other products with this magnification. This binocular is one of the only products in this price range that offers high magnification, so if you want to have higher magnification while staying in this price range, we recommend this product. However, if you want better value for the money you spend, you should look at the other products in this list because this binocular won’t last a long time if you don’t take good care of it due to the lack in quality. The magnification of this binocular is the heart of this product because the other things that come with this binocular lack in certain aspects. The magnification of this product is x10 with the diameter of the optics being 50mm. If you want more clarity while using the binoculars and if you want higher magnification, then this binocular is recommended as it will be difficult for you to find other products in this price range with this magnification. Whether you are going on a safari trip or a bird watching trip, you’ll need a quality pair of binoculars with you. However, it may be hard to find a pair of binoculars that will fit your budget, as most are designed for enthusiasts who are more than willing to spend quite a bit for a quality pair that will aid them in their activity. For those on a budget, we have reviewed some products above that are recommended to those on a tight budget, so we recommend that you choose one of the products we recommended above to take on your next trip, as we know you’ll love them. They are binoculars that we chose out of the many available, and they also proved to be well worth the price that you pay for them, so if you want value, quality, and usable magnification with your binoculars, then choose one of the three above and you’ll have a better time at whatever activity you will be participating in.